In English language we organize Private Berlin Street Art Tours only, for up to 4 people maximum. All other interested parties (large groups, companies, schools, etc.) are welcome to send us a request, and we will be happy to arrange a tour tailored to your wishes. Our private Street Art Tour takes you through the streets of Berlin to discover the richness of Urban Art, and to learn about the messages and techniques of Street Art and Graffiti. 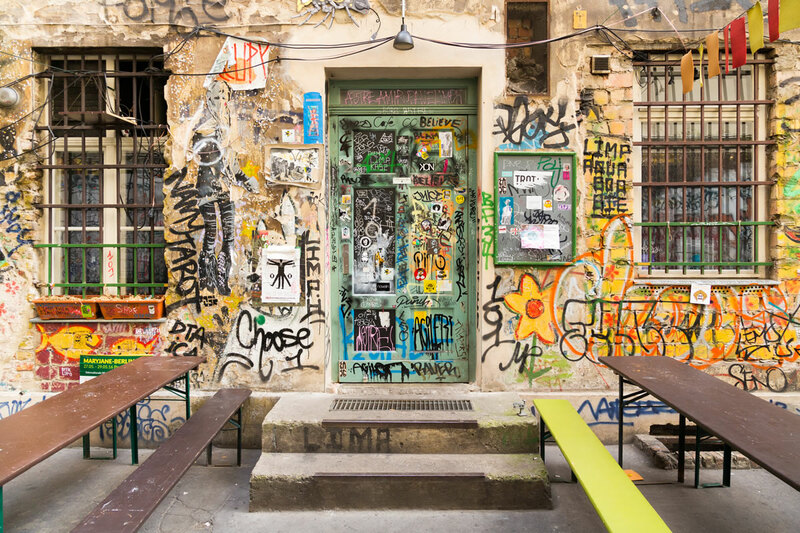 This 3-hour trip to the districts of Mitte and Kreuzberg will give you a general idea of Street Art in Berlin, but it will also allow you to understand the history of the city and its evolution since the reunion. Your guide will be Mathieu, Katia and Aljoscha. All of our guides are locals from Berlin, they interact with many artists, they know their city, and especially, Berlin Street Art. 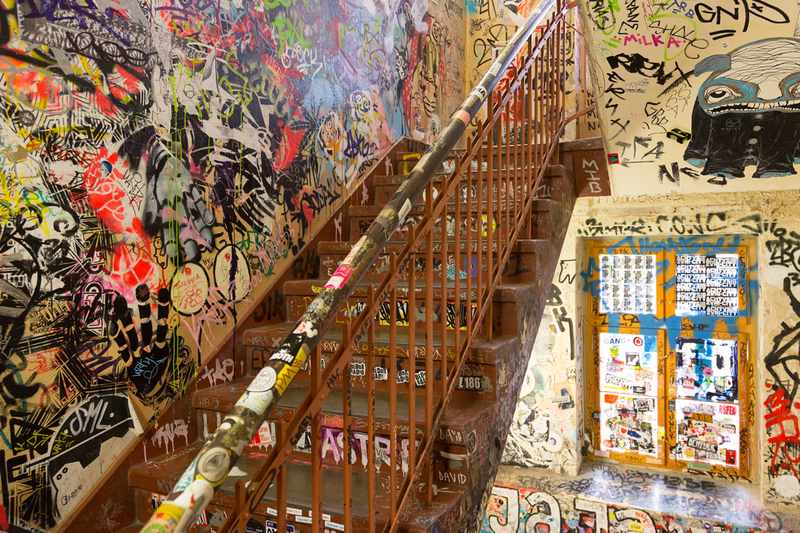 The mecca of Street Art, European capital of graffiti, the city of free spirit – Berlin has been (unofficially) crowned the real capital of Street Art many times over. However, Berlin’s status on the global scale in terms of urban art should matter little to none once you’re there. One thing is certain – this is a place where subversive kinds of art truly belong. From the moment you set foot on Berlin’s pavement, art will reach out to you, even when you’re not looking for it. Every corner, every street, local park and building tells a story, and you will find yourself witnessing history, good moments and bad times, while anticipating the spirit of what is yet to come. 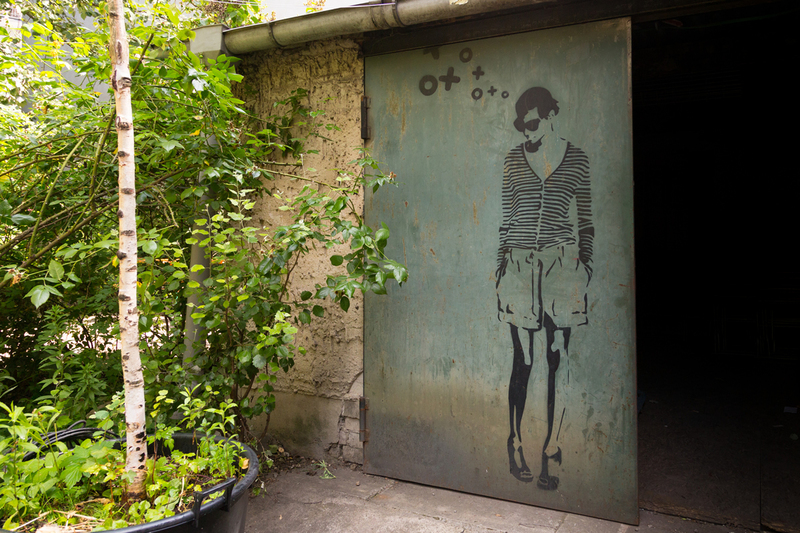 For a Street Art enthusiast on our private tour, Berlin can serve as a living encyclopedia of outdoor creations, a place to craft a trend-spotting skill, one that is best mastered by taking a long, curated walk. We love hosting our English-speaking guests! Based on years of experience as Urban and Street Art curators, we designed our private tour in Berlin to correspond with interests and wishes of our international clients. We take pride in our unique tour program, the quality of the time spent with our visitors, and the heaps of positive experiences that come out of it. It’s our pleasure to introduce you to all the hidden corners, local legends and to share an inside story or two and to answer all of your questions concerning our city and its Street Art realm. Our private Street Art tour in Berlin is the tour provided by professionals. We have been involved with the city scene for over a decade, curating and organizing exhibitions, supporting and discovering new artists. As members of a tightly-knit community, we have direct connections with the majority of the people creating outdoor art in Berlin, with many of whom we have worked or have plans to collaborate. Our specific position allows us to hear many stories artists tell, sharing their adventures of illicit painting in impossible places, or provocative ideas related to a very localized issue. Knowing the amoung of thought, work, talent and courage that goes into each piece, we believe that the Street Art world of Berlin is far more dynamic than it appears, while each single graffiti piece hides a story. Each of our walks features different stories, inviting visitors to step behind the visual and to feel as members of the community for the day. Old legends or fresh news, we are happy to season our private tour with a bit Berlin’s most colorful tales. 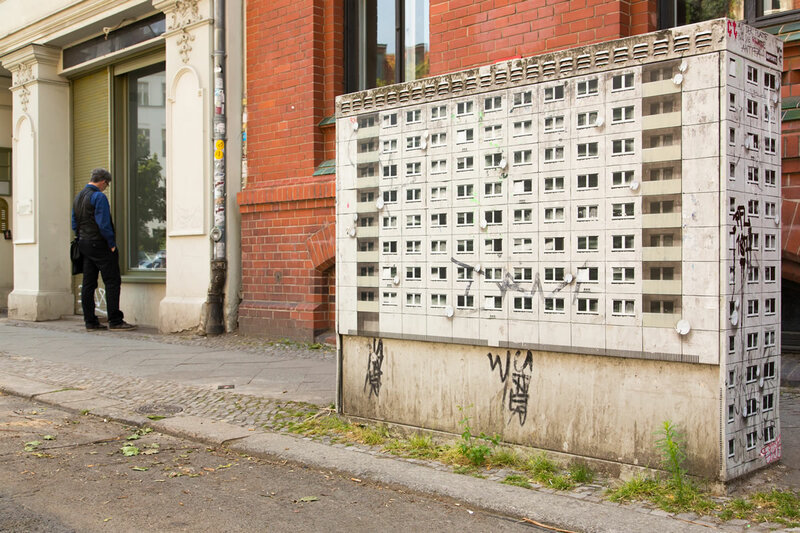 The private tour Berlin Street Art organizes will give you the most authentic, reliable, firsthand information about all the famous and the lesser-known public artworks across Berlin, including everything that is worth mentioning, regardless of scale and state. We cover everything that we believe would be of interest to our visitors, from tiny tags and stickers, to the well-known murals and paste-ups. Let us guide you through the places that everyone talks about and provide you with insights that no one else will tell you about, stories, anecdotes and unforgettable moments that rely on true events rather than rumors and teasers. We will also take you to some of our favorite hidden gems in Berlin, and let you discover a whole new world under the city’s surface. We guarantee that this tour will be like no other, arranged by a positive, yet critical approach, and complemented by a warm, enjoyable atmosphere. Our private tour is an excellent way to discover the most imporatant Street Art monuments and to catch up on the latest public art innovations. It is also a way to get to know the city in-depth and to familiarize with its unparalleled character. Finally, we will gift you another vantage point for Berlin, one that tells its history in the most genuine manner, from the very local angle. Each tour comes as a new chance both for us and our guests to discuss culture in Berlin and to address the social, cultural and political aspects that relate to it. We believe that this experience is meaningful in regards to the city itself, but also as a tool for understanding the climate of global art heritage, the state of art at the moment, and its complex relationship with society.